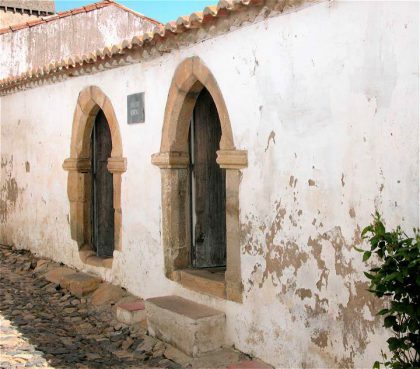 The Jews who lived within the walls of the little hilltop town of Castelo de Vide were engaged in the traditional activities of commerce, crafts, and sometimes medicine. The population grew after 1492 with the arrival of Jews from Spain. The former Judaria is fairly easy to identify around the market square (Praço de Comércio). Between the fourteenth and sixteenth centuries the characteristic little streets led to the small synagogue. A niche, used as a church altar in the seventeenth century, might be a vestige of the aron kodesh. The municipality is currently conducting research into this movingly simple building.